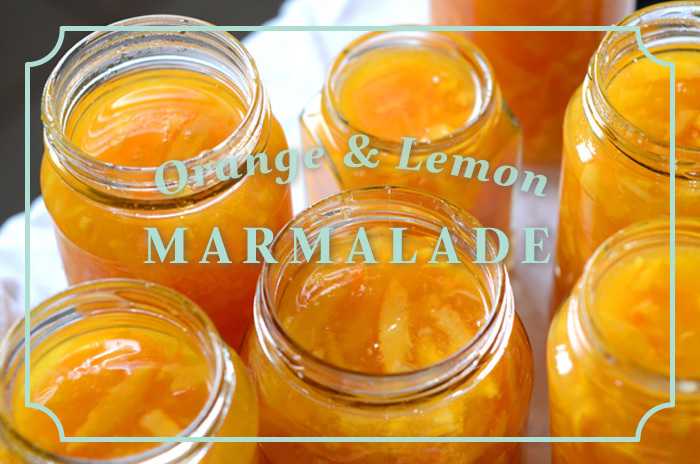 An oldie but a goodie – orange and lemon marmalade! 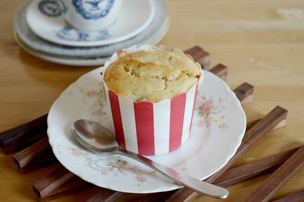 I shot this when I was back in Melbourne, loosely based on the Delicious magazine recipe. It takes at least three hours, sometimes longer — so don’t start this too late in the day. Once you know what you’re looking for, it’s the simplest thing and makes for great gifts. 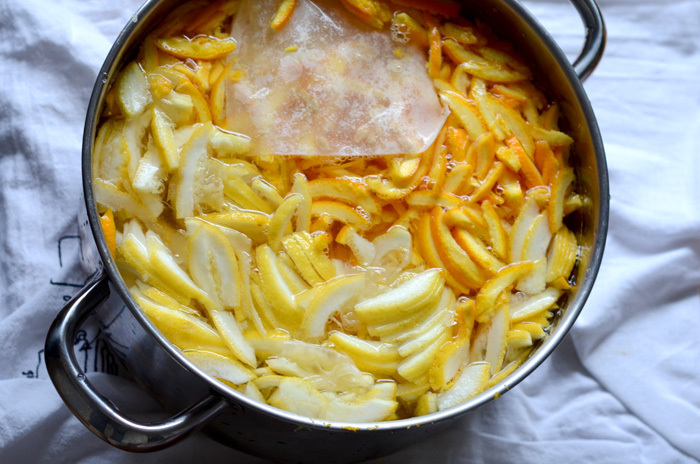 Most recipes say to discard the lemon as it’s used mainly for the pectin, but I actually like the zesty flavor that it adds – so everything goes into this marmalade. 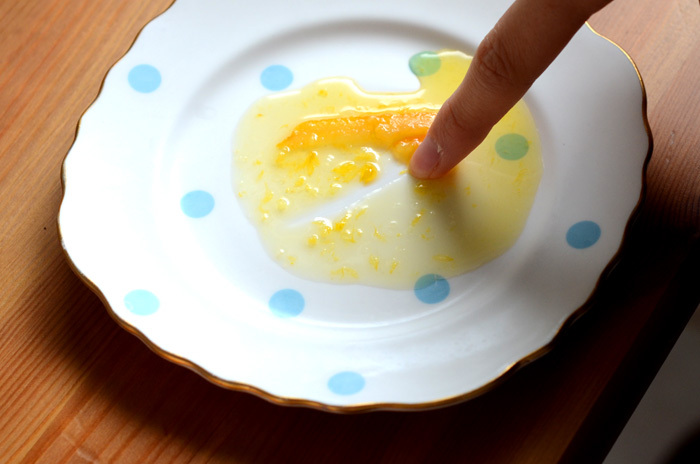 Give the oranges and lemons a good wash. 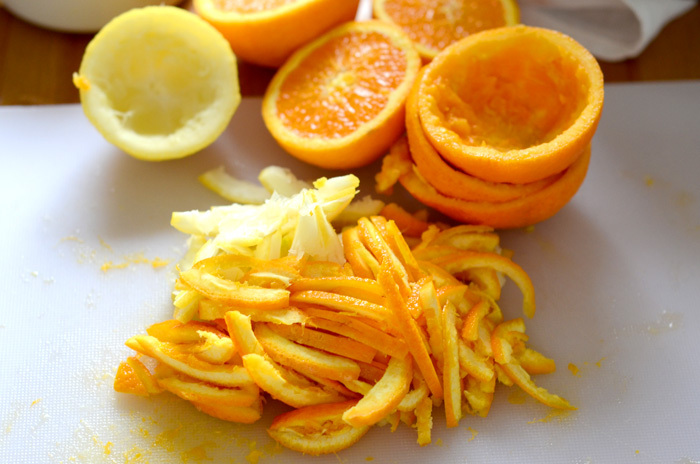 I love using home grown oranges because they’re organic and I know there’s nothing bad in the rinds — if they’re not organic, I would give the skins a good scrub. 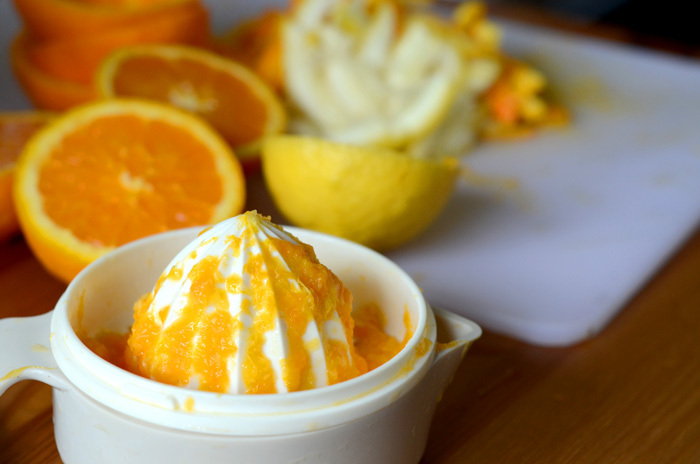 Halve the fruit and squeeze the juice out of them, reserving the pips. Slice the peel to the desired thickness (keeping in mind it will break down in the cooking process). 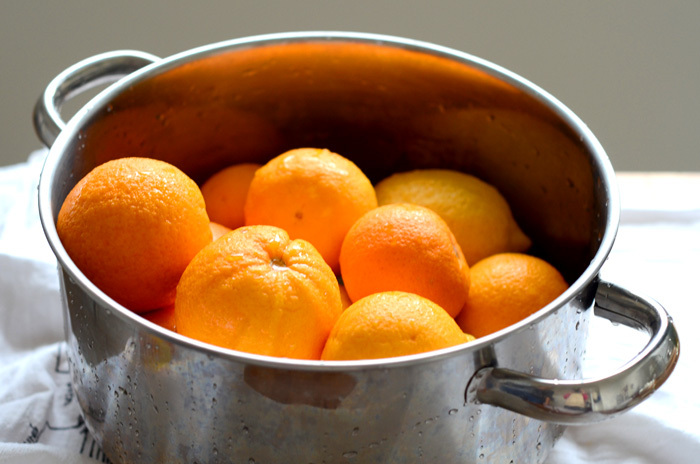 Place the pips in a muslin bag and add the citrus peel, juice, and 2.8l of water in a large-based pot. This was the largest pot I could find, which works fine but takes longer to reduce the mixture to the right amount. Cook the mixture on high heat until it comes to the boil, and then reduce the heat to a gentle simmer. 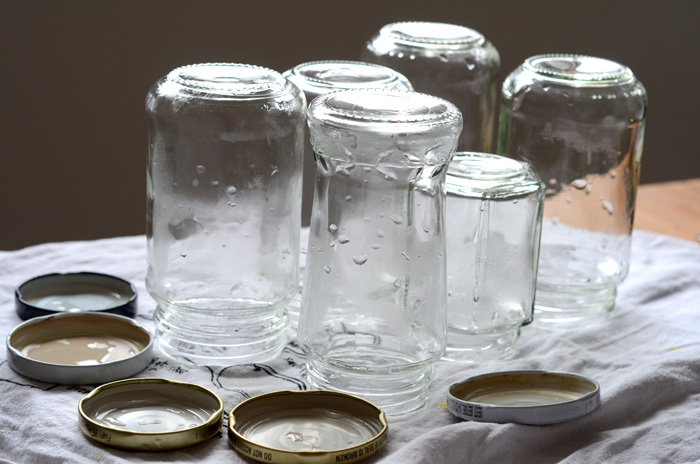 Sterilise your jars, using boiling water. They can also be dried faced down in the oven at 120C/250F for 10 minutes. 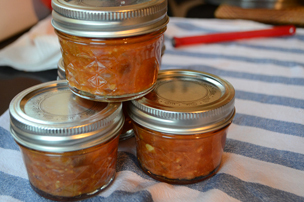 Place some small plates in the freezer for testing the marmalade later. After about two hours, have a look at the mixture. The liquid needs to have reduced to about half. If not, continue to cook the mixture. Once the peel is soft and translucent and your mixture has reduced to half its original volume, add the sugar and bring back slowly to the boil. Stir constantly to avoid burning the sugar. Once the sugar has dissolved, cook on high heat for 10-20 minutes. 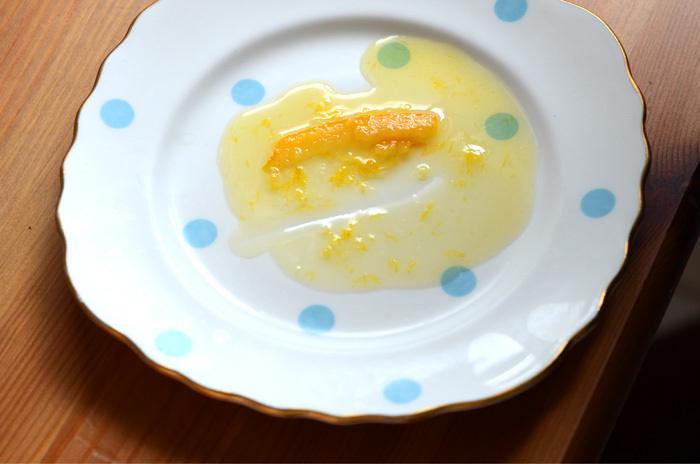 If you think the marmalade has reached setting point (105C/220F), place some marmalade on a chilled plate and place in the freezer for one minute. Run a finger through it to test if it’s sufficiently thickened and looks to be setting. 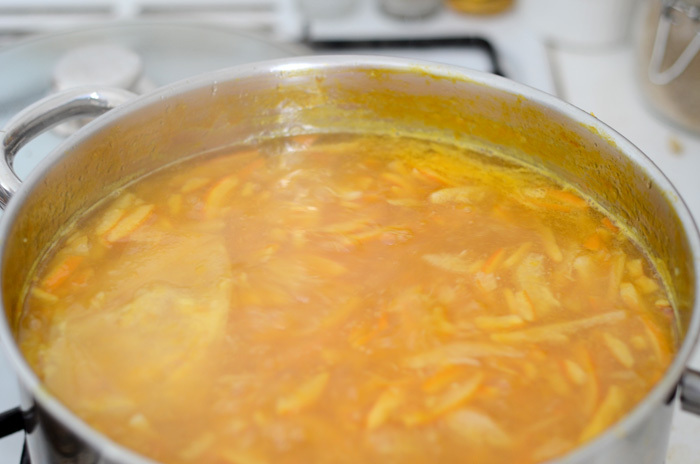 You can also have a look around the ladle or sides of the pot to see some smaller volumes of marmalade setting. If it’s not setting, cook for a further 30 minutes and repeat the test. 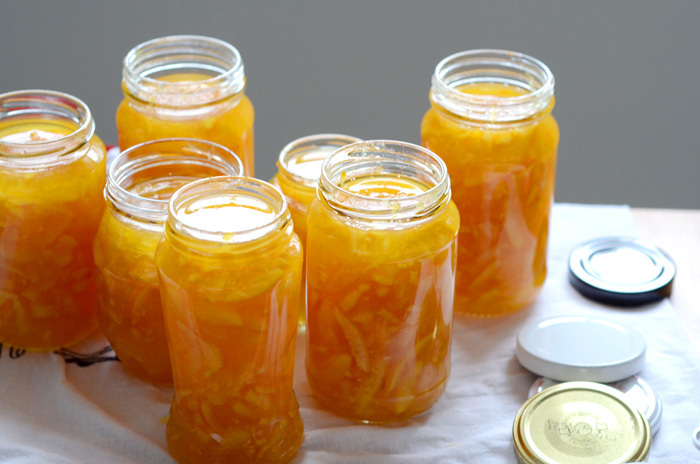 Allow the marmalade to cool slightly in the pot before pouring it into the jars.